Looking at these little plastic pellets, it is difficult to imagine how they actually lower nitrate (and phosphate to a small extent) in a reef aquarium! Well, in reality, it is bacteria that does the real work, but biopellets are the catalyst your tank needs to heavily produce this bacteria. 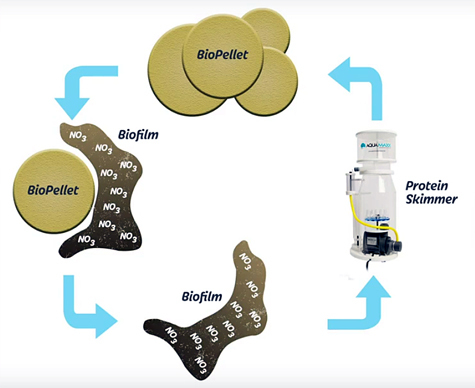 Today we are going to explain how biopellets work and provide you with the insight you’ll need to make adding a biopellet reactor easy so you can reduce nitrates (and phosphates) safely in your tank. In an aquarium, there is an abundance of bacteria that consume nitrate, phosphate and carbon. Because an aquarium is an enclosed environment in which nitrate and phosphate are readily available, the limiting factor for bacteria growth is a carbon source. This is where biopellets come into the picture. 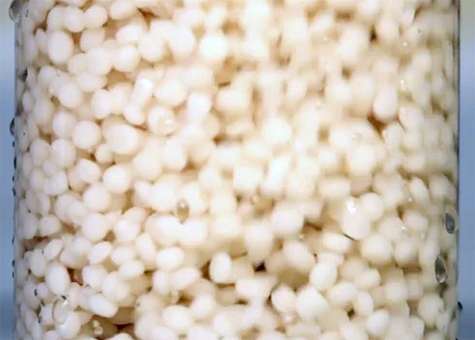 Biopellets are made from pure biodegradable plastic. When added to your aquarium in a biopellet reactor, the pellets act as a carbon source for bacteria. In essence, the biopellets are food for bacteria. 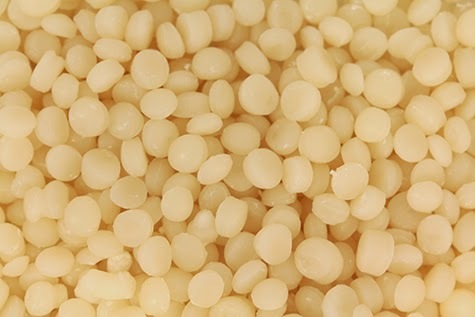 With the extra supply of carbon available, extra bacteria starts to grow on the pellets and consume nitrate and phosphate. Once biopellets are added to the reactor, it generally takes 4-6 weeks for the bacteria colony to establish. Additives, such as Brightwell Microbacter7 or Two Little Fishies Bactiv8, will help to speed up this process. The bacteria works quickly to reduce nutrients, so you will want to start slow by adding only about 25% of the recommended amount of biopellets to your reactor. Then add about 25% more biopellets to the reactor each week thereafter until you have reached the full recommended dose. This way you will avoid a dramatic decrease in nitrate and phosphate which can stress your aquarium animals. 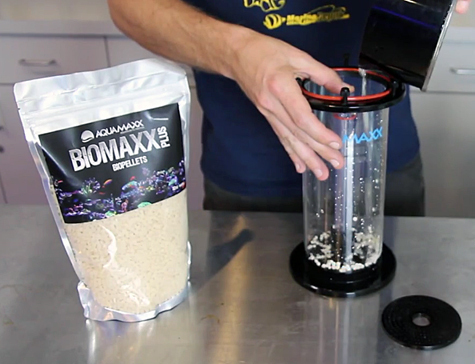 Don’t forget to soak the biopellets in a cup of aquarium water for 24 hours prior to use because this will prevent the pellets from floating inside the reactor. Once bacteria starts growing, it will begin to consume the biopellets along with nitrate and a small amount of phosphate. For every 16 parts of nitrate, 1 part of phosphate is consumed. This is called the Redfield Ratio. For this reason, biopellets are most effective for controlling nitrates but do have a small effect on phosphate reduction as well. The bacteria colonizes and creates a biofilm that coats the surface of the biopellets. As the biopellets tumble inside the reactor, the biopellets rub against each other and this biofilm sheds off, exits the reactor and is then exported from your tank via your protein skimmer. New surface area is then exposed for new bacteria to colonize and continue reducing nutrients. For this reason, biopellets must be used in conjunction with a good protein skimmer and you will want to direct the outlet of the biopellet reactor towards the inlet of your protein skimmer. Nitrate and phosphate are “locked” in this biofilm. If the biofilm is not removed by your protein skimmer, it will simply break back down and be released back into your tank. It is perfectly normal to produce more skimmate when using biopellets so be sure to maintain and clean your skimmer accordingly. As long as your biopellets are tumbling, they are working. In extreme cases where the biopellets tumble too fast, the biofilm never gets a chance to develop. In this scenario, simply reduce the water-flow to achieve a gentle tumble. Biopellets are consumed by the bacteria, so you will need to add more pellets every 4-6 months to maintain the appropriate quantity of pellets in your reactor. It is crucial to understand that all three elements—nitrate, phosphate and a carbon source—are needed for the bacteria to grow. If there is no presence of phosphate in your aquarium, it means the bacteria will be unable to consume nitrate. So if you are using GFO or some other form of phosphate control, be sure to keep the levels minimal—but still present. 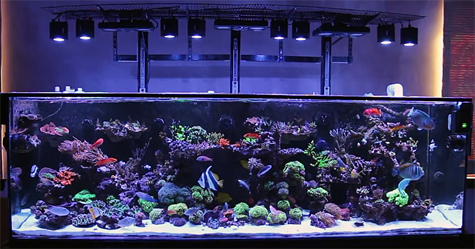 With all the gorgeous saltwater fish out there, it is difficult not to overstock an aquarium. That is one reason why a large percentage of hobbyists inevitably run into issues with nitrate. With the solutions now available and a clear understanding of how this technology works, you can effectively use biopellets to control your nitrate level and maintain pristine water parameters even in the most heavily-stocked aquariums. Thank you for giving us the opportunity to share our knowledge with you. If you found this information helpful, please like and share it to help us spread the word! Don’t forget to subscribe to our YouTube channel to stay up-to-date on all our latest video tutorials. Until next time, take care and happy reefkeeping. 4Read A Beginner’s Guide to BioPellets on our blog. 4Watch our Filter Media Guide: Carbon, GFO and BioPellets video. 4Shop our online store for BioPellet Reactors. 4Shop our online store for BioPellet Filter Media.